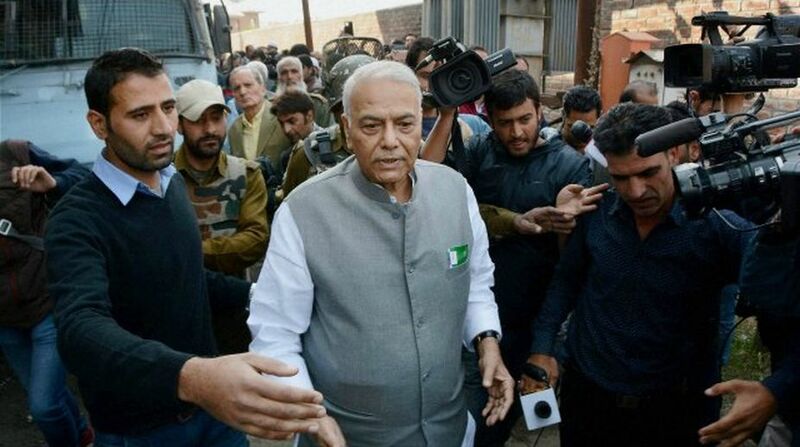 A day after veteran BJP leader Yashwant Sinha launched a political platform that was joined by a number of politicians led by BJP MP Shatrughan Sinha, the BJP Telangana unit of the party on Wednesday termed it as a “betrayal”. Telangana BJP spokesperson Krishna Saagar Rao also said that the two leaders have “crossed all the limits” and should quit the BJP. After months of sniping at the BJP, disgruntled leader Yashwant Sinha on Tuesday launched the political platform named ‘Rashtra Manch’ in New Delhi. “They neither have any role in the party, nor anybody in the country follows them,” he said. “We believe they (Yashwant Sinha and Shatrughan Sinha) are a spent force. The BJP will not have any issue with what they will do after they leave the BJP,” he said. “They should actually apologise to the BJP and then resign from the party. I don’t think they have any equity in this democracy. Their attempts to embarrass us (BJP) are not yielding any results in the last three years,” Rao said. On Tuesday, Yashwant Sinha had said his ‘Rashtra Manch’, a political action group, would start a movement against the policies of the Central government. The new political platform seeks to take on the Centre and will start a movement against its policies, the former Union finance minister had said. Shatrughan Sinha said he joined the platform as he had not been given a forum in the party for expressing his views, but added that his decision to back the front should not be seen as an anti-party activity as it was in national interest. RLD leader Jayant Chaudhary and former Union ministers Som Pal and Harmohan Dhawan were also present. Shatrughan Sinha said he had joined the platform because he had not been given a forum in his party for expressing his views, but added that his decision to back the front should not be seen as an anti-party activity as it was in national interest.